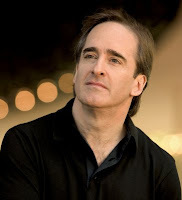 Conductor James Conlon has been awarded a Lifetime Achievement Award from the Istituto Italiano di Cultura in Los Angeles for his lifelong activity and dedication to music and excellence in conducting in Italy, as well as all over the world. The award was presented by the Director of the Italian Institute of Culture, Francesca Valente, and by the Consul General of Italy in Los Angeles, Nicola Faganello on Monday, March 15 following Mr. Conlon’s lecture Maria Callas and Richard Wagner: A Surprising Couple at the Italian Institute of Culture as part of LA Opera’s Ring Festival and the Institute’s Maria Callas exhibit of costumes, jewelry, photos and memorabilia. Mr. Conlon will receive a sculpture entitled Il Tondo by Tuscan artist Mauro Staccioli who was commissioned to create this sculpture by the Contemporary Art Museum of San Diego. Mr. Staccioli’s works have been displayed at two Venice Biennale, a major contemporary art exhibition in Venice, are featured at major museums and are part of private collections. Mr. Conlon’s other awards and honors include two Grammy Awards, Best Classical Recording and Best Opera Album, for conducting LA Opera’s Kurt Weill’s Rise and Fall of the City of Mahagonny released on DVD; the Dushkin Award from the Music Institute of Chicago in recognition of his artistry and passion as a performer, educator, and mentor; the Medal of the American Liszt Society for his distinctive performances of the composer’s works; and Italy’s Premio Galileo 2000 Award for his significant contribution to music, art and peace in Florence. He has been honored with a Doctor of Music degree by The Juilliard School, a Doctor of Arts honoris causa by Chapman University, and a Doctor of Humane Letters from Brandeis University. Mr. Conlon was named an Officier de L’Ordre des Arts et des Lettres by the French Government in 1996, and in September 2004 he was promoted to Commander—the highest honor awarded by the Ministry of Culture in France. In September 2002, he received France’s highest distinction from the President of the French Republic, Jacques Chirac—the Légion d’Honneur.